Visit the observatory at the National Air and Space Museum. It’s not every day that a telescope gets a birthday cake. But this telescope was special. 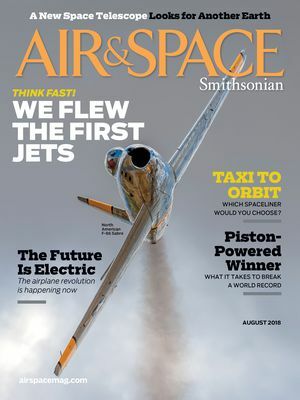 It had recently traveled 400 miles to start a new life showing visitors the sky above the National Air and Space Museum in Washington, D.C., and on March 1, 2017, it was turning 50 years old. Half a century ago, its story began with a pianist. Chester Sheldon Cook earned money for his family in two ways: He gave piano lessons, and he made high-quality optical devices during World War II. A lover of harmony and math, he was naturally drawn to astronomy. So great were his contributions to the Amateur Telescope Makers of Boston that his friends memorialized him when he died by purchasing a large telescope and naming it for him. The Cook Memorial Telescope, built by Boller & Chivens, with a 16-inch mirror, was designed for observing planets, stars, and asteroids. The Harvard-Smithsonian Oak Ridge Observatory bought the telescope in 1967 and for decades astronomy students there used it to study the sky. When Oak Ridge closed in 2005, Cook’s telescope went dark with it. 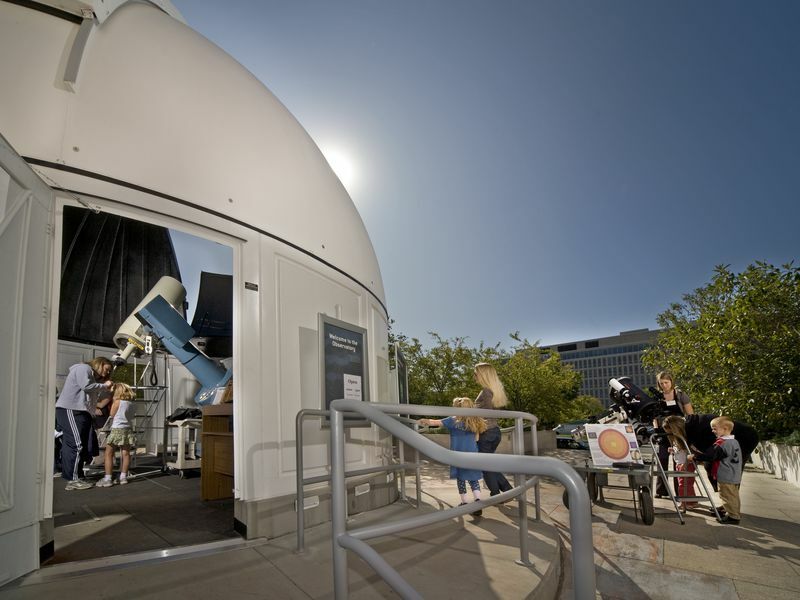 For the International Year of Astronomy in 2009, Smithsonian history of astronomy curator David DeVorkin wanted to put a telescope at the National Air and Space Museum on the National Mall, where more than eight million annual visitors would have access to it. Harvard agreed to loan the telescope to the Museum, with support from the National Science Foundation. A truck ride and a crane lift later, the Cook Memorial Telescope is now the centerpiece of the Phoebe Waterman Haas Public Observatory. Peering through the observatory’s telescope, Museum visitors can observe the phases of Venus, glimpse the moons of Jupiter, or view a projection of the Sun with a special device—which amateur astronomer Cook likely would have appreciated—made from a flowerpot. When the Observatory’s staff and volunteers gathered to celebrate the Cook Memorial Telescope’s 50th birthday, we shared stories of its long history and pieces of birthday cake. It’s a history you can share too. Check for observing events and updates at airandspace.si.edu/observatory or on Twitter @airandspace.